The owner of Lizkiz Couture Online Store (henceforth Online store) is Lizkiz Ltd. registry code 14463927, address Tööstuse 48, room 205, Tallinn, Estonia. The prices of the products sold in the online store are indicated next to the products. All prices are shown in euros (EUR). A fee for shipping is added to the price. Product information is provided immediately adjacent to the product in the online store. Please note that all products are handcrafted. Every product is knitted, decorated and sewn by the skillful hands of Lizkiz Couture/Froufrou by Lizkiz designers. When placing an order, bear in mind that each product might take up to two months to complete, every product is unique and thus can be slightly different than shown on the picture. Every piece of clothing is a piece of art and they cannot be identical. All product pictures are property of Lizkiz Couture, copying and using them is not permitted without a written consent. Add the desired products to your shopping basket to order them. Fill in all of the rered fields and choose the most suitable shipping method to complete the order. The total cost is then displayed on the screen. This can be paid via online bank transfer or by Credit Card. The contract enters into force when the amount payable is transferred to the bank account of the online store. Online store is not responsible for incorrect information provided by the purcharser during placing an order. Online store has a right not to fulfill the order if false information has been given when order was placed. If the online store cannot deliver the ordered goods due to stock running out or for any other reason, the purchaser will be informed as soon as possible and the money paid (including the shipping cost) will be refunded promptly, but no later than within 14 days of receiving the notification. The purchaser bears the shipping cost and the respective price information is displayed next to the shipping method. All shipments that are in stock and are shipped within Estonia generally arrive at the destination specified by the purchaser within 2-8 business days of the date of entry into force of the contract of sale. All shipments outside of Estonia are dependant of the products ordered and shipping method chosen. Online store prefers to send all products ordered to the same address as one shipment. Online store reserves the right to ship products in up to 90 calendar days in exceptional cases. All products are crafted by hand by Mariliis and her team of seamstresses, keeping in mind the purchasers choise of size, color and other requirements. Production times may vary due the goods are not mass produced, but handcrafted high quality clothing and accessories. The production and delivery can be agreed upon by email lizkizcouture@gmail.com. If you are ordering from outside of European Union, there might be Customs clearance fees and tax added to the purchase by the country of delivery. All costs for Customs clearance are paid by the purchaser and shall not be refunded if product is returned or changed. After receiving the order, the purchaser has the right to withdraw from the contract entered into with the e-store within 14 days. Depending on the product, the purchaser may not necessarily have the right of withdrawal eg. it was tailored to fit measurements provided by the purchaser. The right of withdrawal does not apply if the purchaser is a legal person. To exercise the 14-day right of withdrawal, you must not use the ordered goods in any way other than is necessary to ensure the nature, characteristics and functioning of the goods in the same way you would be allowed to test the goods in an actual store. If the goods have been used for any purpose other than is necessary to ensure the nature, characteristics and functioning of the goods, or if there are any signs of use or wear and tear, the online store has the right to lower the amount returned in accordance with the decrease in the value of the goods. To return the goods, you must submit a declaration of withdrawal (the form for which can be found here) to the e-mail address lizkizcouture@gmail.com within 14 days of receiving the goods. The online store has the right to refuse to make the refund until the goods being returned are received or until the buyer has provided proof of returning the products, whichever occurs first. The purchaser will pay for the return shipping costs. The online store is responsible for the non-compliance of goods sold to the purchaser with the terms and conditions of the contract or for deficiencies which already existed at the time of delivery and which occur within two years of delivering the goods to the purchaser. Within the first six months of delivery it is assumed that the defect was present at the time of delivery. It is the online store’s responsibility to prove otherwise. The purchaser has the right to turn to the online store within two months of the occurrence of a defect by e-mailing to lizkizcouture@gmail.com or calling +372 53 422 654. The online store is not liable for any defects arising after delivering the goods to the purchaser. If goods bought from the online store have defects for which the online store is responsible, the online store will repair or replace the defective goods. If the goods cannot be repaired or replaced, the online store shall return to the purchaser all of the payments involved in the contract of sale. The online store will respond to the consumer‘s complaint in written form or in a form that enables written reproduction within 14 days. The online store will not return the payments if the goods are damaged or their value decreased due to wrong exploitation, including not following care instructions or normal wear. 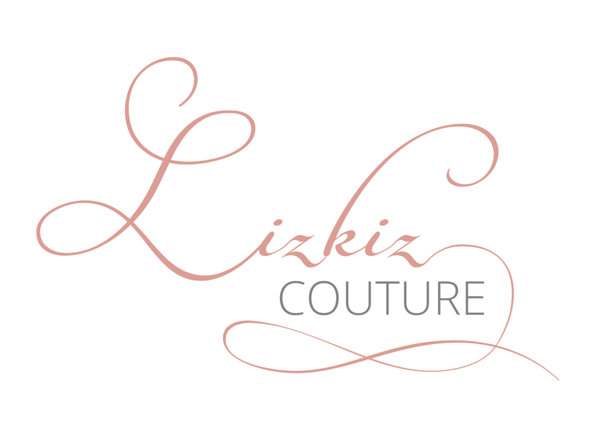 In case of complaints the purchaser will send an e-mail to lizkizcouture@gmail.com or call +372 53 422 654. If online store and the purchaser are not able to solve a dispute by negotiating, the purchaser has the right to submit a claim to the Consumer Dispute Committee (https://www.tarbijakaitseamet.ee/en/consumer). Submitting a claim is free of charge. The purchaser may also submit a claim on European Commission Online Dispute Resolution website https://ec.europa.eu/consumers/odr/main/?event=main.home2.show. The contoller of the personal data of the online store Lizkiz Couture is Lizkiz Ltd, registry code 14463927, located at Tööstuse 48, room 205, Tallinn, Estonia; e-mail lizkizcouture@gmail.com, phone +372 53 422 654. Name, phone number and e-mail address; delivery address; bank account number; cost of goods and services and data related to payments eg. purchase history; customer support data. The personal data are transmitted to the accounting service provider for performing accounting operations. Personal data may be transmitted to IT service providers if this is necessary for ensuring the functionality of the online shop or for data hosting. Personal data are stored in the servers of the service provider, which are located on the territory of a member state of the European Union or states of the European Economic Area. Data may be transferred to the countries whose data protection levels have been assessed as adequate by the European Commission and to the companies in the USA who have joined the Privacy Shield framework. Online store stores data that is necessary for accounting purposes or for the settlement of consumer disputes. Disputes concerning the processing of personal data are settled through customer supportby email lizkizcouture@gmail.com. The supervisory authority is the Estonian Data Protection Inspectorate (info@aki.ee). Online store is using cookies to make using the Online store more comfortable. Using cookies is not related to Online store users' personal data.